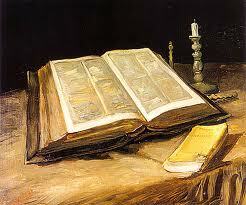 “There is an inescapable unity between God and the Word. The Word is where God is and God is where the Word is. God’s Word is the presence of God among us. What is the implication of this?” For his answer you’ll have to go to http://www.challies.com/articles/too-low-too-human-too-safe#more. As one writer pointed out — it’s ironic that those who accuse Christians of bibliotry had to learn about idolatry from somewhere.